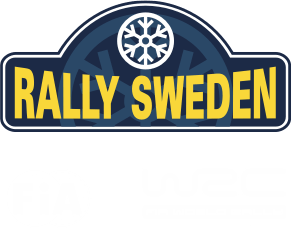 The entries for Rally Sweden 2019 are officially closed, as from 15.00 hours today, and this year hosts one of the all time most interesting lineups. All of the stars are coming and, as one fine tasting bonus, Marcus Grönholm, Sebastién Loeb and Pontus Tidemand have all decided to make the journey in a WRC car in Sweden. Toyota with Tänak, Latvala and Meeke, and now also the one and only Marcus Grönholm. Citroën with Ogier and Lappi, Hyundai with Neuville, Loeb and Mikkelsen and Ford with Tidemand, Evans and Suninen. They’re all coming here with a total number of 14 cars in the WRC. In the new WRC 2 Pro, Mads Östberg will challenge the field in his Citroën R5, and you can trust the Norwegian fan favorite to go “flat out”, as always. In WRC 2, last year’s winner Katsuta Takamoto will go up against two times World RX champ, Johan Kristoffersson, the Norwegians Henning Solberg and Ole Christian Veiby as well as last year’s Junior WRC winner, Emil Bergkvist. Total number of R5 cars are 30. The WRC 3 with its R2 cars is bound to see a thrilling competition and hosts a total number of 16 cars. Add another 3 in the national class and you have a total number of 63 cars coming your way. Historic comes with old time heroes Petter Solberg, Mats Jonsson and Arne Rådström, trying to stop Kenneth Thomasson from defending his title, and boosts no less than 57 cars. All and all, this makes the total number a whooping 120 cars. – This year’s edition of Rally Sweden is really top notch. All of the stars are coming and to get to have Tidemand, Loeb and Grönholm on top of that feels epic. This can be the biggest winter party ever, says Glenn Olsson, Rally Sweden CEO. We’re all set for the biggest action of the year.